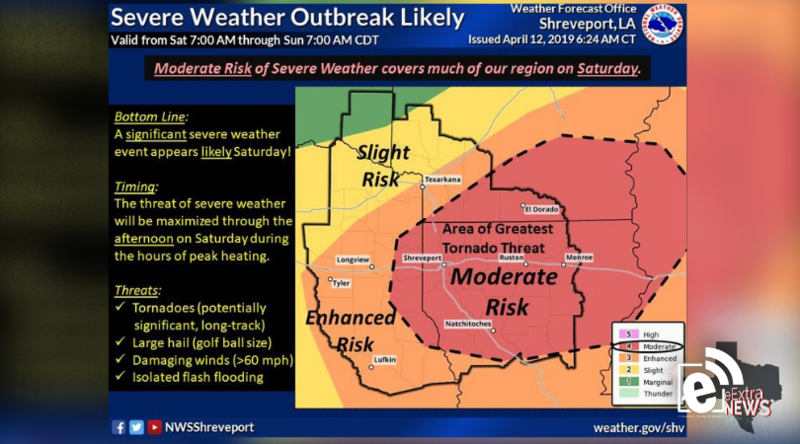 A Moderate or Enhanced Risk for severe thunderstorms covers much of our region on Saturday. Strong to severe storms will likely begin to develop during the morning hours, but the timing of greatest risk is expected during the hours of afternoon peak heating and possibly extending into the early evening hours. There will likely be multiple rounds of storms throughout much of Saturday into Saturday night. Large hail, damaging winds and tornadoes will be the primary threats. Locally heavy rainfall may also lead to isolated flash flooding.